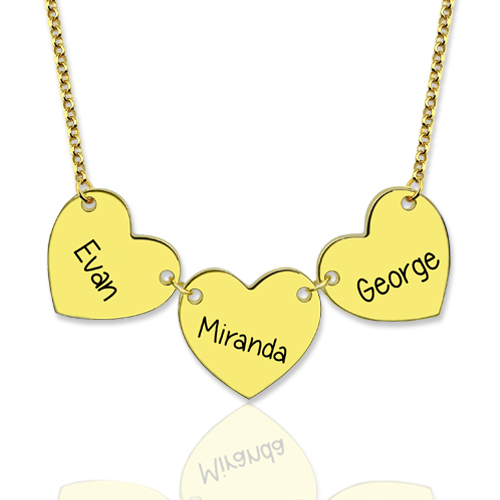 Wear the heart necklace as a symbol of your love for important people. This heart charm necklace can be customized with three to five heart shaped pendants, which can all be personalized with a name, date or special message! It is one of the most special and personal pieces of jewelry you can own or give as a gift.